Time spent on due diligence translates in better investment outcomes. Investors who spent more than 40 hours saw a 7.1 multiple, 20 hours a 5.9x and less than 20 hours a 1.1x. High industry expertise in the area of the invested venture delivered twice the returns. 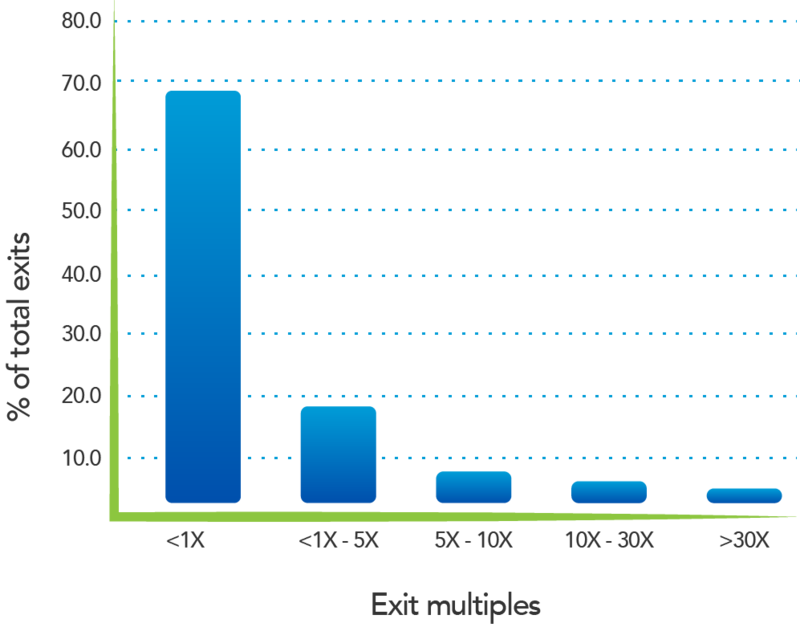 A higher interaction with portfolio companies delivers a higher exit of 3.7X. A lower interaction of a couple of times per year delivered 1.3X. Angel groups average 2.5X return (22% IRR) and 4.5 years before exit..
30 percent of exits returned more than the original investments. 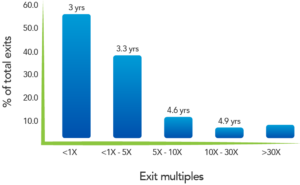 Angel groups average 2.6X return (27% IRR) and 3.5 years before exit. 48 percent of exits returned more than the original investments. 7% of exits returned more than 10x the money invested and accounted for 75% of the returns. Early stage investments can provide excellent returns when properly selected and managed. 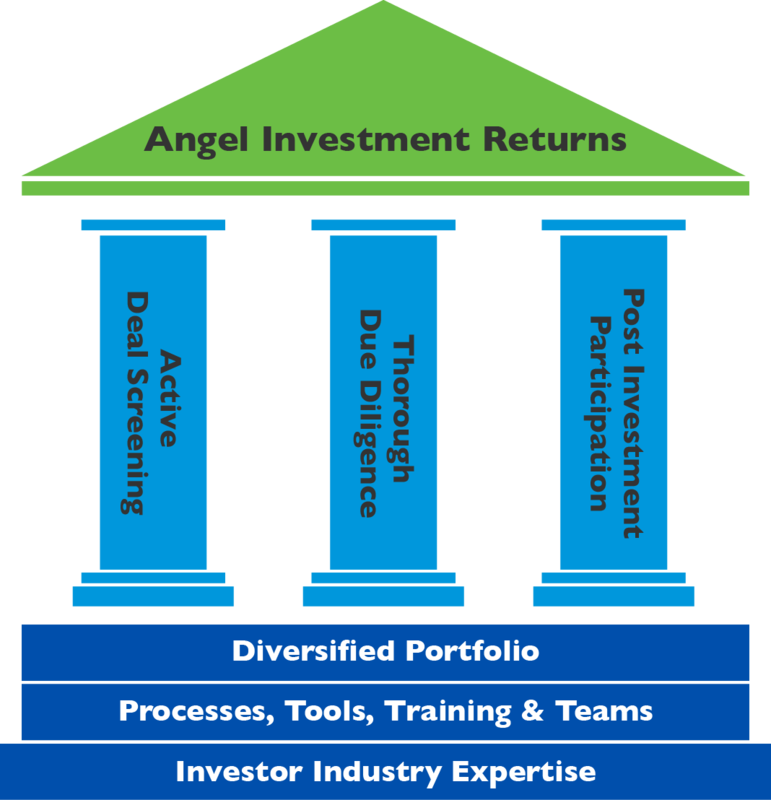 Angel investing requires a different approach than traditional investing. Joining and Angel Investment fund is a great way to get familiar with the unique opportunities, risks and rewards of angel investing. Our team of investors follows a multi-stage process to identify and screen the most promising local companies that meet E-Fund’s investment criteria.